What is the difference between stateful and stateless SIP-proxies? Can I use private IP-addresses and NAT with SIP? How are SIP-messages identified that belong to the same transaction, to the same dialog and to the same call? What are the differences between transactions, dialogs, sessions and calls with respect to SIP? How can I add, remove or change media streams during a session? What is a SIP-URI and how does it differ from a TEL-URL? How is mutual authentication achieved in the 3GPP-based IMS? How do 3GPP-specific procedures like GPRS-attachment and PDP-context activation interconnect with SIP-registrations and calls? Engineers, technicians and IP-professionals who are involved in the setup, configuration and handling of SIP-enabled networks. 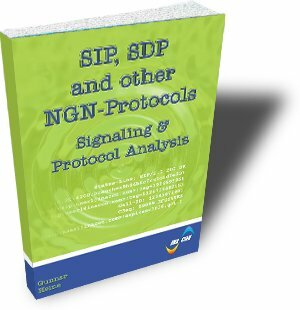 Everybody who requires practical experiences with the SIP- and SDP-protocols.